Aside from her prominent role in films, such as last summer's blockbuster hit Girls Trip, Queen Latifah currently stars on the Fox television show Star. The show follows a young women’s dream as she tries to navigate the tough business of the music industry. 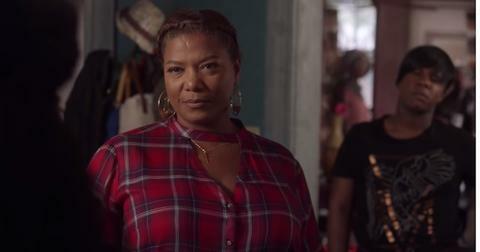 However, it was recently announced that Queen Latifah, who plays Carlotta Brown on the Lee Daniels-created series, is making her return to the big screen, which has some fans concerned about her future on Star. So, is Queen Latifah leaving Star? Season 4 of the show has yet to be confirmed but it appears that Queen Latifah has signed on to executive produce and appear in the teen comedy Paper Chase. The 42-year-old actress will star in the film, which tells the story of a teen girl looking to reinvent herself in college. According to Variety, when the title character, Alicia, can't afford the tuition, she, her mom, and the New Orleans-based teen's BFF decide to throw a huge party to raise the money. And, we're making an educated guess that a lot of hilarity will ensue. "This film is exactly what we love to do, make fun and energetic projects that audiences have a blast going to see," Queen Latifah said in a statement to Deadline. As expected, fans showed support for Queen Latifah, but also kept their fingers crossed for her to fit Star into her busy schedule — a Girls Trip sequel is also reportedly in the works. "There is definitely talk of a sequel,” Latifah said last year. "I know the writer’s deal is done, so it’s being written. Our deals are being worked out so that will be done." She continued, "It’s really just a matter of getting that script and let’s go!" This also wouldn't be the first time Queen Latifah's future on Star was up in the air. Fans will remember in the Season 2 finale when Carlotta and Cassie (played by "The Boy Is Mine" singer Brandy) faced off and the series ended with a major "who got shot?" cliffhanger. Spoiler alert: Both Cassie and Carlotta survived and returned for Season 3. What happened to Queen Latifah? The former rap star is also embroiled in some legal troubles. According to court documents obtained by The Blast, Queen Latifah’s production company Flavor Unit — which is a sub unit of Black Entertainment Television (BET) — is being sued for allegedly stealing a reality television show idea. Latosha Lee is claiming that the series, From the Bottom Up, was her idea. "In 2013, Latosha conceived a novel idea for a reality television show called Real Life Cinderellas of Atlanta," the documents read. She also alleged that the show would "focus on the daily lives of women who had gone through publicized scandals and were seeking redemption." The show would feature "African-American quasi-celebrity women living in Atlanta, Georgia who have all experienced media scandals and working toward their lives around." According to the outlet, Latosha is demanding an injunction, which would stop the network and Queen Latifah from airing the series. They would also have to turn over any profits made from the show to Latosha. 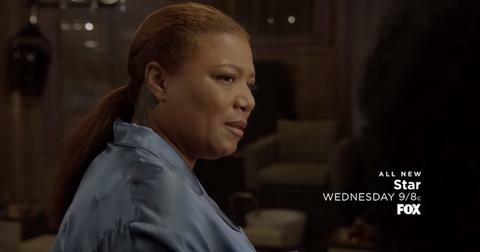 We have a feeling Queen Latifah is not going anywhere. Watch new episodes of Star on Wednesdays at 9 p.m. on FOX.